Fighting for the liberation of all humans isn’t easy. Whether you’re waging war in comments sections or trying to create a real-world libertopian refuge from the state, this quest can seem like an uphill battle. With the selection of reality TV star Don the Con (aka Orangebama), and the overall political circus in the US, staying principled and committed to liberty can be difficult for some these days. Statism has seemingly entrenched nearly every aspect of modern society, and now even a few self-professed libertarians have changed their tune and are trying to make “nationalism” cool again. Matt and I also discussed Porcfest and how it’s evolved over the years, as well as everything from conflict resolution to Burning Man culture and Anarchapulco. Fostering community and inspiring self-ownership in others can be challenging at times, but the common desire for peace and cooperation unites us all in spirit. Still, as much as one might think it should just be a natural inclination, some people need to be shown the path before embarking on the journey. Anarchapulco 2019 was an incredible success, despite mainstream media hitpieces a couple weeks before the event. Even in this reality show of left vs right outrage mobs and false solutions, the future of Life Unchained is within our grasp, and I will remain committed to this narrow path. We’re hoping to make Anarchapulco 2020 even bigger and better, and tickets are already on sale. 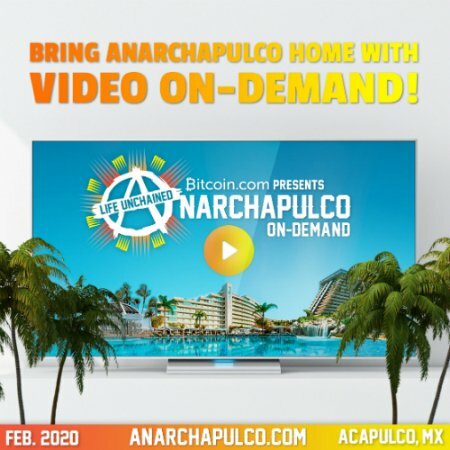 You can also now get access to high quality on-demand videos of the full speeches from Anarchapulco 2019, Cryptopulco and the TDV Summit main stages! Packed with fresh insights from top experts in everything from entrepreneurship, investments, and politics, to philosophy, health, and personal relationships, these are exclusive presentations that you cannot get elsewhere. Learn directly from pros including Jeffrey Tucker, Mark Passio, G. Edward Griffin, Max Igan, Dr. Sherri Tenpenny, Larken Rose, and more today.